GOP leaders are demanding that Trump give up on his border wall plan. They are refusing to dedicate even a cent to new border wall construction unless the President relents and agrees to make Obama's amnesty executive orders permanent. This is not a drill. Both Paul Ryan and Mitch McConnell are stripping border wall funding from the appropriations bills. They don't think it is worth fighting to secure the southern border. President Trump is being backed into a corner. He needs your help! Please, send your instantly delivered message to Congress (below) and DEMAND full funding for the border wall! Tell them that anyone who blocks this funding will be removed from office! You must fully fund the border wall before the Midterm Election, otherwise I will have no choice but to remove you from office. It is absolutely unconscionable that you would even consider keeping the border wide open. The GOP leadership in both the House and the Senate are refusing to appropriate even a cent to new border wall construction. The establishment's current plan is to allocate only $38 million to "building and repairing border barriers." Practically all of this will go towards repairing existing fences, not new border wall construction. What is wrong with you? Why are you so determined to keep the border wide open? The new "promise" coming from Republican Leaders is that they will agree to vote on the border wall later, but only after the midterm elections and after Pres. Trump agrees to make Barack Obama's amnesty programs permanent. They think they can trick Americans into re-electing them on nothing but a "promise" to finally appropriate the border wall funding. I'm sorry, but I just don't believe you. We have been waiting for Congress to approve the border fence/wall funding since 2006. Every year, we get another excuse for why the "timing isn't right" to protect Americans. Less than two months away from the midterm elections, we are being told again that the "timing isn't right" to secure the border. Your colleagues believe their own re-election prospects are more important than protecting Americans from the crime and drugs that are pouring across the border. 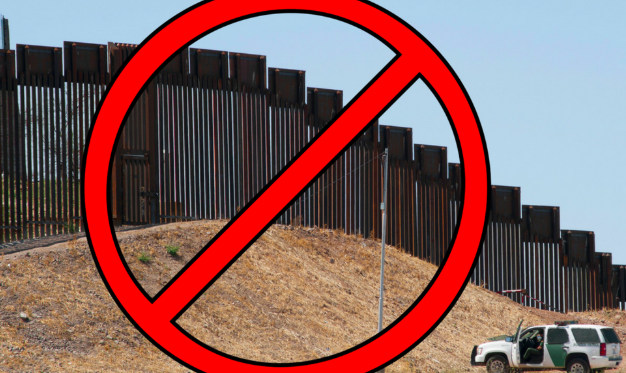 If you will not secure the border and approve the funding for the border wall project, you will be removed from office. I really hope that you take this seriously. Approve the border wall NOW or else!